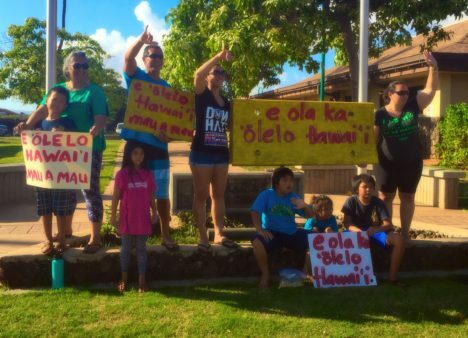 Molokai voters joined residents around the state last Saturday in casting their ballot in the Primary Election. Some also voted early through walk-in voting or mailed ballots. Results largely favored incumbents, or those currently holding the seat. 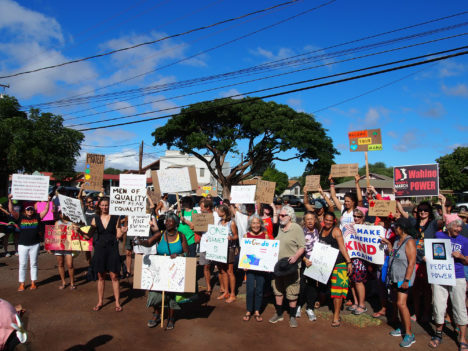 About 150 residents took to Kaunakakai’s main street last Saturday to join in the international Women’s March movement, marking one year since the march first took place around the world in 2017 following President Trump’s inauguration. 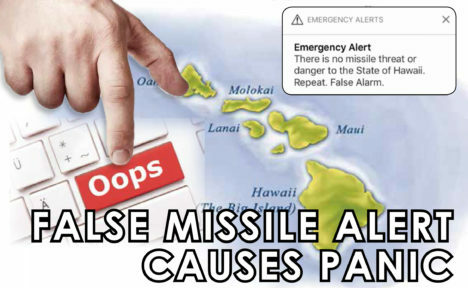 Gathering at the library and marching to the ball park, participants held signs supporting causes like equality, environmental protection, women’s rights and making references to the recent false missile alert. Keani Rawlins-Fernandez officially announced her intention to run again for the Maui County Council – Molokai race on Jan. 11. After a tight race for the same seat in 2016, missing it by just eight percent, her supporters strongly encouraged her to run again. U.S. 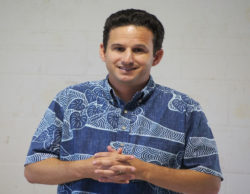 Senator Brian Schatz visited with Molokai residents last Tuesday during a town hall event at Kualapu`u Center, sharing news on national policy and answering questions. From North Korea to natural resource protection, the Democrat from Hawaii engaged on a wide range of topics and talked about being in politics during “an incredibly tumultuous time.” He also encouraged community members to reach out to his Hawaii staff anytime and promised they would be heard and responded to. 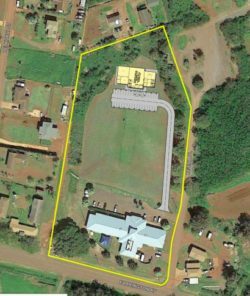 Congresswoman Tulsi Gabbard will be holding a statewide Town Hall Tour in April, including a visit to Molokai. 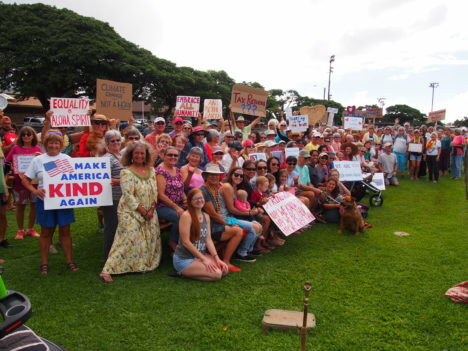 Nearly 100 Molokai residents joined more than two million worldwide in the Women’s March movement that took place last Saturday.